The Global Recycling Foundation has announced the second annual Global Recycling Day will feature a“Recycling into the Future” theme. The second annual event takes place March 18. The Global Recycling Foundation was formed in October 2018 by the Bureau of International Recycling (BIR), Brussels, in an effort to support the promotion of recycling, and the recycling industry, across the world in order to showcase its vital role in preserving the future of the planet. In a bid to curb fake news during the general elections, WhatsApp and NASSCOM Foundation came together to impart digital literacy training. As part of the partnership, WhatsApp and NASSCOM Foundation will train nearly 1,00,000 Indians to spot false information and provide tips and tricks to stay safe on WhatsApp. The Indian Institute of Technology (IIT) Kharagpur will adopt Amazon Web Services (AWS) Educate programme to help students gain cloud computing skills including hands-on experience in artificial intelligence (AI). It will be introduced to provide AWS Cloud Computing experience and AI-enablement for all our students, irrespective of their branch of study. ICICI Lombard and Mobikwik announced a strategic partnership to provide cyber-insurance cover. The relationship aims to provide protection against unauthorised and fraudulent transactions online, across bank accounts, debit & credit cards and mobile wallets. National record holder K.T. Irfan became the first Indian from athletics to qualify for the next year’s Olympics while finishing fourth in the 20 km event of the Asian Race Walking Championships in Nomi, Japan. The Olympics qualification period for all other athletics events will start from May 1 this year and will run till June 29, 2020. 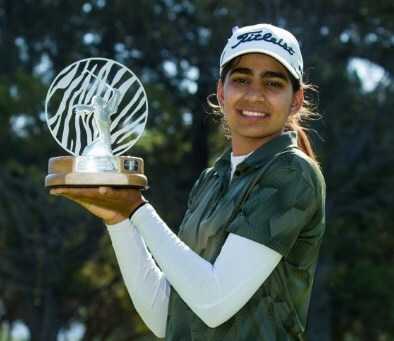 Diksha wrote her own piece of history by becoming the youngest Indian woman to win on the Ladies European Tour (LET) in Cape Town, South Africa. In 2016 Diksha was given a place to play at India’s biggest women’s pro event, the Hero Women’s Indian Open.